So last week it was my turn to pick the movie for our date night at home, and I picked the one featured above in the clip. It’s Love and Friendship, based on the Jane Austen novella, Lady Susan. 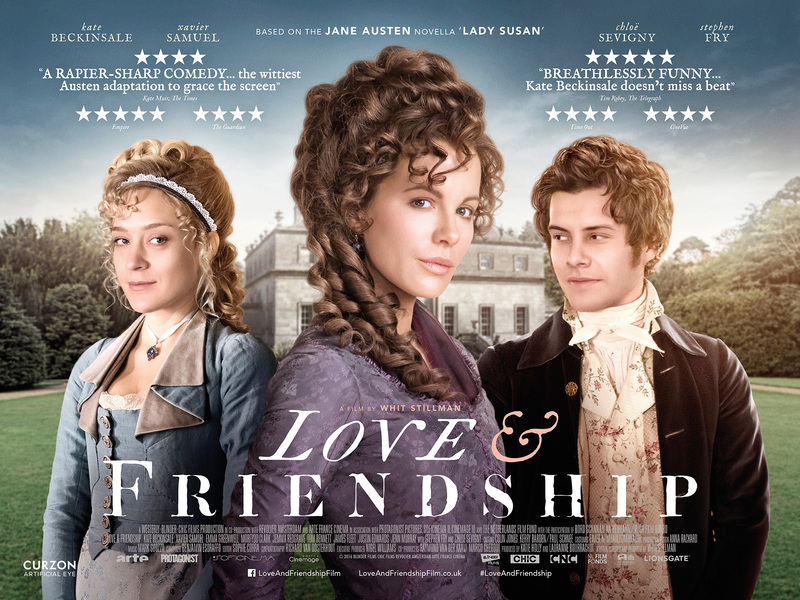 It’s confusing, because “Love and Friendship” as a title is from a different Austen work that she wrote for children. Just to be clear, I will repeat, the movie Love and Friendship comes from Jane’s novella, Lady Susan, which you can listen to here on librivox. In the movie, Kate Beckinsale stars as Lady Susan Vernon, a scheming widow who sets out to find love for herself and her young single adult daughter. In the end, we see the difference between true and false love, and true and false friendship. I’m not going to say any more about the plot, because I don’t want to give away any spoilers. This story, just like the others of Jane’s has some wonderful lines about the principles human nature and love, such as the following that you can find here. You can watch the movie on Amazon Prime video here. True to other “bonnet movies” it has sumptuous costumes and scenery. This bonnet movie is set apart from the others, however, because of the big gorgeous hair! Enjoy!